Are you in need of an emergency towing? Were you involved in a roadside collision? 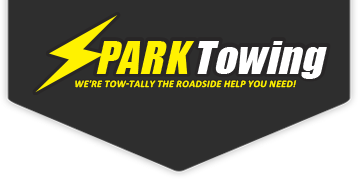 Let the trusted emergency roadside experts of Spark Towing lend a hand. We provide you with 24/7 emergency towing coverage throughout all parts of San Diego. Roadside collisions are very scary times for any individual. It helps to know that Spark Towing always has your back, no matter what the roadside emergency might be! Our company makes it a priority to arrive on time. At Spark Towing, the main concern is your safety. Spark Towing boasts a team of professional roadside specialists that will have your vehicle towed 24/7 through all emergency situations. Accidents happen every few seconds, which is the reason why we remain accessible round the clock. You’re always in good hands with us! Spark Towing has been San Diego’s premier emergency towing company for several years. The idea is to serve the entire local community during all types of roadside emergencies. Our team works closely with a very talented group of roadside technicians that have the credentials to work under extreme pressures. No matter what the emergency roadside situation is, you’re always well taken care of with Spark Towing! Accidents cannot be prevented at times. However, it is comforting to know that Spark Towing is out there 24/7 keeping you safe from danger on the road. Keep our number stored on your cell phone for all emergency towing services. Don’t take any chances with your well-being. Give us a call 24/7 for all emergency towing inquiries and to request a free quote.